Qbert does look dapper on the cover of his new "Scratchlopedia Breaktannica" DVD doesn't he? But that's not a patch on how good the contents is shaping up to be. Thud Rumble have posted a couple of clips pon da mighty Youtube - a trailer and a teaser - for you to get a feel for what the 101 secret scratch techniques might be. Hot on the heels of the recently released v1.7.4, Serato are hurtling head long towards the next landmark release - the near mythical v1.8. It's fair to say that the competition has been giving them a bit of a feature beating recently but now there's now a public beta of this point release that throws up some pretty hot biscuits - some that it should have done a long time, some that are just playing catchup to their competitors and others that sees Serato wiping the blood from it's nose and coming out fighting. And in what must be some sort of world review posting record, skratchworx reader and active SSL user Konix has provided a first look review for you to chew over and quite possibly mess your pants to. Break out the protective goggles as Native Instruments has finally released Traktor 3.3 - the one that allows you to weld Traktor and it's Scratchy sibling together Mr T style into one great big 4 deck DVS powerhouse. Obviously, there's lots of other cool stuff going on as well but that's the main thing everyone has been waiting for. Mashups are all the rage right now, usually putting 2 distinctly opposing styles together to make one final track that just works. And this is certainly the case with www.thecareercookbook.com. The guys have brought together the mutually exclusive subjects of career advice and cooking to make a site that gives you food for thought. This time, they've pinned down DJ ZTrip, who shares his experiences, but seemingly not sharing any secret recipes. You know you can trust to bring you the latest news backed up with the hardest facts right? Let's push that aside for just a moment and wildly speculate and spread scurrilous rumours about what the above image means. 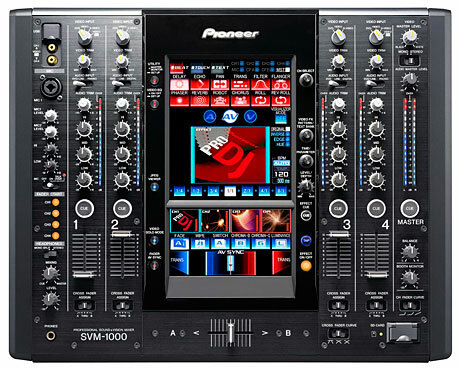 I just received an invite to "join Pioneer for the exclusive press unveiling of 2 new Pro DJ products", accompanied by this image. On it's own it doesn't mean very much but does having the centre display from a DVJ integral to the release mean anything more? While VJing has been around for a dogs age, it's only now with the advent of much more affordable video spinning solutions that it's really beginning to get any kind of recognition with the masses. But getting good quality source material isn't exactly easy unless you've got a healthy bank balance. Your career will be oh so short lived if you try and palm off Youtube rips on the video hungry punters but now MixMash have come up with a custom DVD solution. No more wading through a heap of dross that you can't stand and all about cherry picking content for your own DVDs. I know you all stop by to get your much needed fix of nextlevelness, but sometimes, is all about the way more important things in life - and this is one such thing. For today, teamster NdB with just the tiniest smidgeon of help from Mrs NdB (though I expect her to take all the credit) brought forth the newest member of the team. 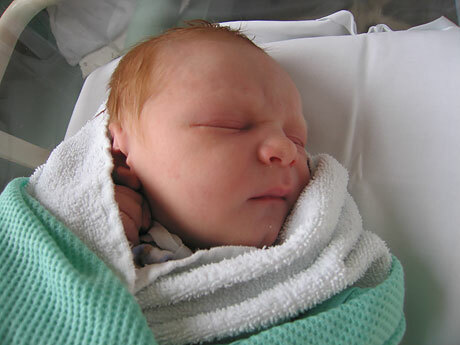 Big congrats to Mr and Mrs NdB and please all say hello to Dylan. A small but important update to the existing Vestax PDX-3000 review. The full-on wannabeatechnics 3000Mix model is now hitting shops so one headed our way so that the review could have some s-arm detail added. Less is more - great things come in small packages - size doesn't matter - small but perfectly formed - ummm... I'm all out of clich�s but they all certainly apply to the Korg mini KP Kaoss pad. After fiddling with the KP3 for a while, Deft felt like a giant playing with the itsybitsyteenyweeny mini KP but still came up with a large number of words despite the lack of stature of the Korg mini marvel. Korg's KAOSS pads have been a staple part of the DJ's arsenal for a while now. Dragging your finger across a touch screen certainly is a change from using a physical knob or button. Last year Korg built upon the success of their KP2 and out came v3 of the touchy feely Knightrideresque looping effects unit., and now Deft has finally laid his hands on it for an extended play. Here's the scenario - you've spent years getting to know your music and after endless practice sessions, you can throw tracks together and successfully avoid Dave Doublebeats syndrome. But wait - after bringing 2 of the hottest choons together, suddenly the floor clears - people are crying and ears are bleeding. Why? Because you've just discovered an unknown combination of notes that has created the world's worst ever key clash. Your career is over, people won't make eye contact, children cry when you pass them in the street and your friends and family stop calling. Should've used Allen and Heath's Xone Mixed In Key. Having witnessed at first hand the slow decline of our long beloved PLASA from a DJ perspective, it's good to know that there's another show popping up that is 100% geared towards the music spinning masses. BPM starts in a few weeks time and will feature the biggest names in the gear scene, including Pioneer and Vestax, who have of late steered clear of doing such things, so it must be worth attending. Bad news for the London people - you'll need a passport and injections to journey outside of the M25 border crossing. And the black and white things you'll see on your journey ooop norf are called "cows". One more thing - if you do fancy the trip out, click on the image above to buy tickets. 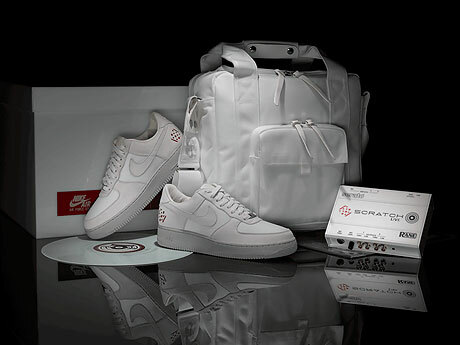 UPDATE:French DMC champion DJ Fly will be on the Ecler stand. For those of you who stopped by the DMC inspired chat room this weekend - thanks. Such was the success and good vibe, it's been decided to keep it on as a permanent thing. Use it to get quick answers, to hang out with like minded people or simply to toss off hours of your life into the cavernous life sucking black hole that is an IRC chatroom. And for those who still didn't realise, skratchworx has a forum called The Skratchlounge. You can access either of these from the left hand menu, you know... where it says "Forum" and "Live Chat". While the recent news has been littered with small fanfare software release stories, Ableton beats its chest and announces a landmark full release of Live - now at number 7. When I say announce, that's what it is as it'll be released "before the end of the year", which gives you just enough time to read the huge volume of PR that comes with it. The next landmark release of Native Instruments Traktor - v3.3 - is imminent and with it comes the full integration of Traktor Scratch, seamlessly welding the 2 products into a powerhouse of digital DJ goodness. 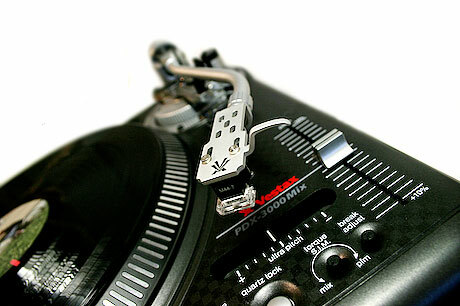 But let's not forget about the little guys and just for them the v3.3 upgrade to Traktor LE has been slipped out first. djDecks just keeps getting better. Adion seems hell bent on making his ultra-affordable software compatible with anything with a plug or that spins. And this release sees Traktor Scratch vinyl support, multi-colored waveforms, more VST effects supported, midi controller improvements, vci-100 improvements, and general bug fixes and performance improvements. The skratchlab is but a small cave, carefully laid out to maximise the effectiveness of my crap and to give me a good place to scratch, eat and watch Youtube build the internet's number 1 DJ site. But I'm quite particular about my sound - or so I thought. 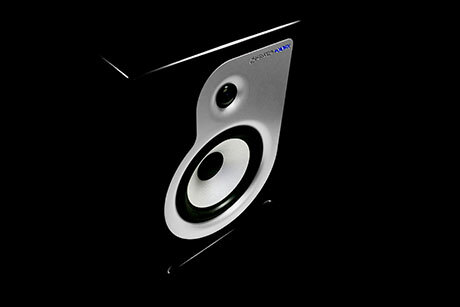 Getting a pair of Stanton ATM.6 monitors in the place has made a world of difference and given me a fresh perspective on the somewhat subjective issue of sound quality. Update: I've added the above image to the downloads page. While we wait for the fabled video enabled v1.8 of Serato Scratch live, the boys in Auckland have been busy honing the current version as well as adding a new hifi resampling mode, designed to make the already pretty good sounding audio sparkle just a little bit more. "Hi - I'm a real noob and want to learn to all that wikki wikki stuff. Where do I start?" to which the usual reply is "Buy Technics and get QBert's DIY1 DVD". 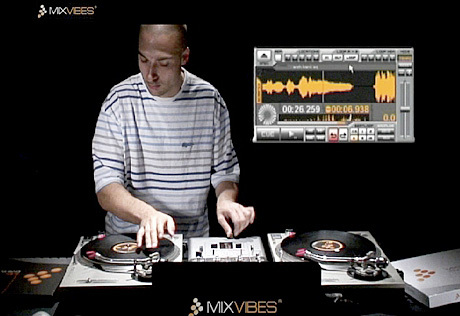 Solid advice but that may be about to change because the "Scratchlopedia Breaktannica" DVD is soon to be upon us, documenting 100 secret or possibly not so secret techniques from QBert himself amongst others. UPDATED: Youtube link now in place. Some chat for the DMC weekend sir? This weekend sees the cream of the current crop of battling DJs converging on the o2 dome in London to scratch the crap out of each other in a bid to take home the golden booty and oversized Ortofon cheque. Now it would be so nice if we could all go - but we can't. So instead of missing out on the action, why not dig not-really-too-deep at all into your pockets and buy some PlusStream feeds. And to supplement this, has put up a weekend DMC chatroom so that those who are watching can share the pleasure, pain, boredom or excitement with others around the globe - such is the joy of the scratchernet. Imagine yourself as a kid on Christmas morning. You've dropping subtle hints and not-so-subtle "I want this really expensive thing from Santa" commands to your parents. As you sit around the pile of pressies, it seems that a string of socks and pens is all that's on offer. But then your Mum and Dad - with a glint in their eye - pull the hugest pressie from the cupboard under the stairs... and the gift eclipses any expectations you might have had? Today is that day. Check this beauty out. Vultures have been circling over the ailing battle scene for years now. Indeed this year's US DMC has been reduced to just a final rather than having a string of heats. 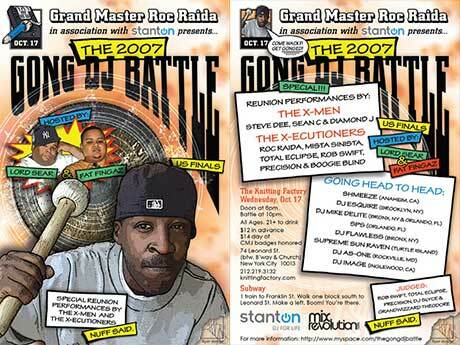 But rather than rushing out to read the last rites, the equivalent of a crash cart - an adrenaline injection right into the heart of the scene is upon us in the shape of the 2007 Gong DJ Battle Finals. 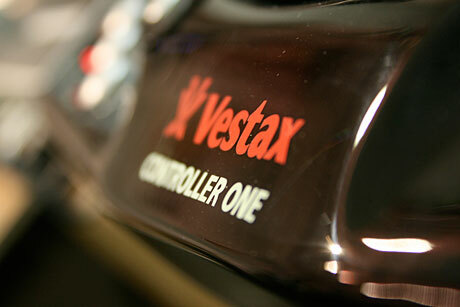 Posting about the Vestax Controller One on is normally absolutely guaranteed to send a wave of "oh no here we go again" through the already bruised and battered readership. But fear not for this is the news you've been waiting for. A reasonably shiny Black Controller One is now installed in the skratchlab, just waiting for me to fondle, prod and generally fiddle with.